La Digue Island is a steep granite island lying 52 kilometres from Mahé and 7km from Praslin. Named after one of two vessels in a French expedition from Mauritius to explore the granitics in 1768, it is the fourth largest island in the Seychelles after Mahe, Praslin and Silhouette. It has a land area of more than ten square kilometres. 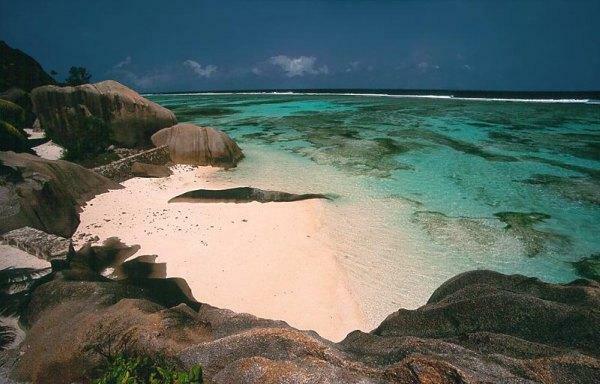 La Digue, Seychelles is a little know piece of paradise located in the Indian Ocean off of the east coast of Africa. 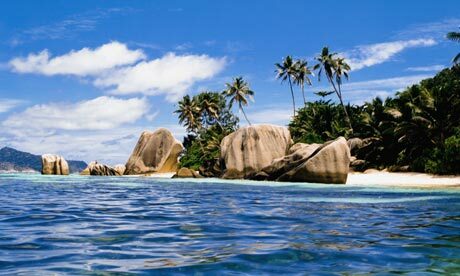 This island is one of the largest islands in the Seychelles, yet its population remains at only about 2000. Most of the people live in one area, near the ferry lines, leaving the rest of the island an untouched tropical paradise. La Digue is one of the most undeveloped and traditional islands in the entire archipelago. The beautiful, uncrowded beaches are perfect for taking walks, as well as snorkeling in the crystalline water and swimming. Some people consider La Digue to be the most beautiful island because of the combination of palm lined beaches, crystal blue waters, and enormous granite boulders. La Digue has a fish market at La Passe, which is full of fishermen selling fresh fish. You can rent a bicycle and travel all over the relatively flat coastal areas and beaches from the Anse Fourmis to the Grand Anse. Explore sheer exoticness and beauty; you just have to enter this paradise by a flight to Seychelles. It is home to some amazingly charming islands, beaches and sceneries that will make you feel like at heaven.